Cut watermelon away from rind, and into chunks. Process until smooth in a food processor. Strain the pulp away from the juice. Discard pulp. Place ice in the bottom of a beverage server. 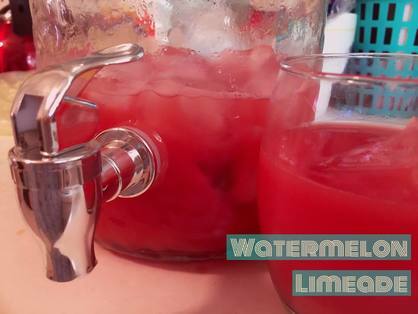 Add in watermelon juice. Add the lime juice, honey and lime slices. Stir well and serve cold.